To see if your favorite OTB is participating in this event, click here to search for a location. On the Border catering is the ideal way to bring family, friends, and festive flavors together. But hungry crowds turn into thirsty crowds. Make sure you give your group great options for chilling out together with the new On the Border Canteen! Bring home a Margarita Mix Canteen and your party will think you hired a professional bartender! See below margarita recipe so you can make your margaritas taste just as good as they do at our Cantina! Just add Tequila and Triple Sec into the Canteen and shake to combine ingredients. Now it's fiesta time! Typically, one gallon of tea or lemonade is sufficient for six guests, and iced tea is generally consumed at a 2:1 ratio. Of course, you know your crowd better than anyone, but if you’re not sure, the following chart may be helpful! 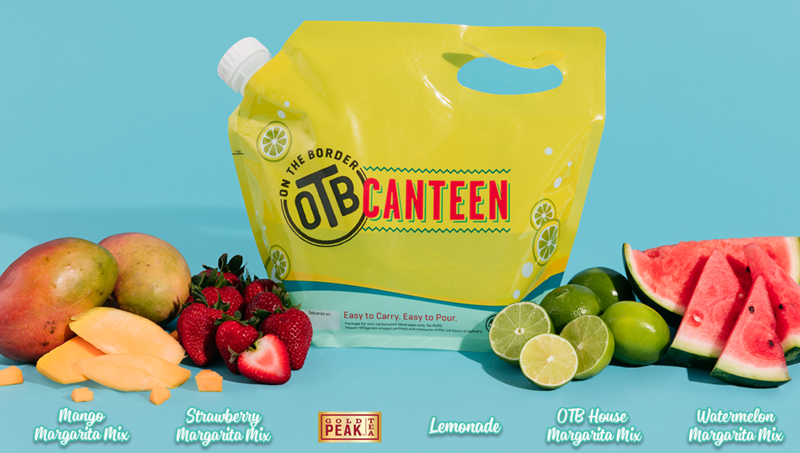 Click here to order your OTB Canteen today!